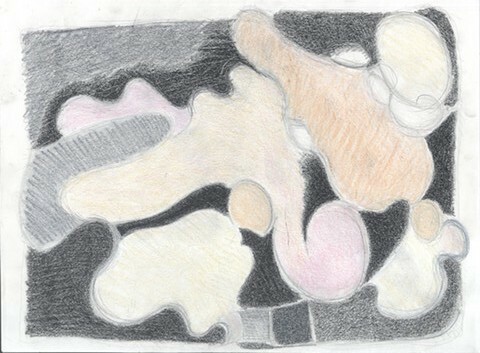 I was inspired to make these drawings while reading the biography of Arshille Gorky,The Black Angel. 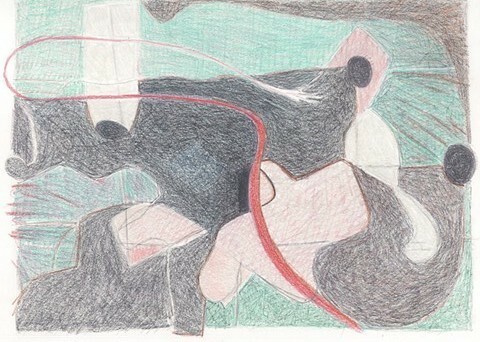 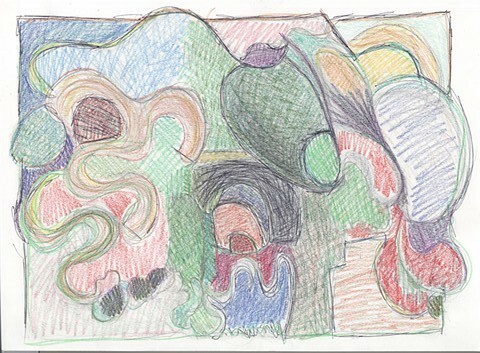 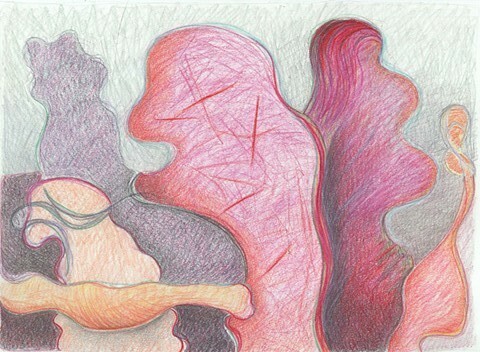 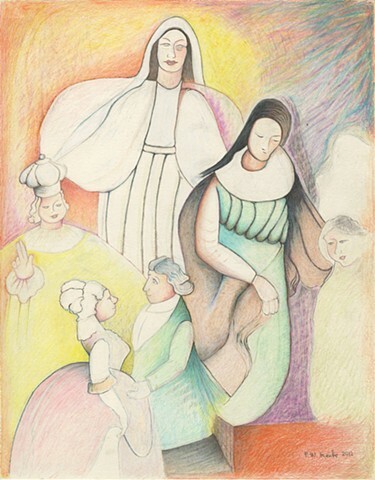 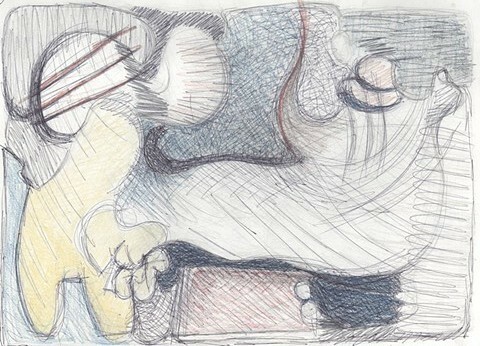 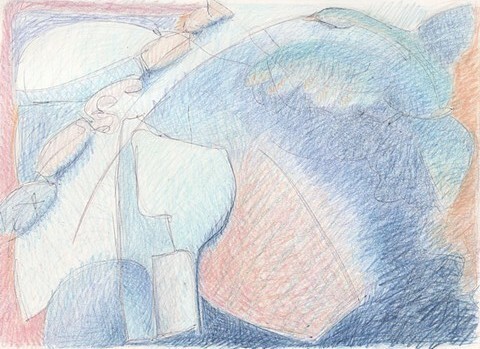 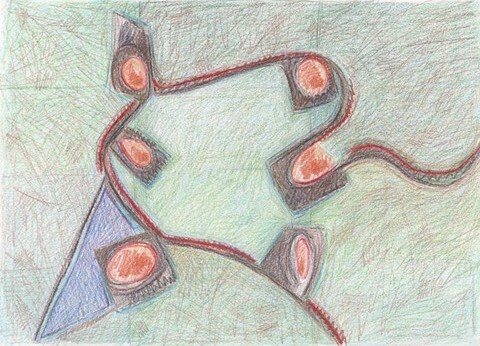 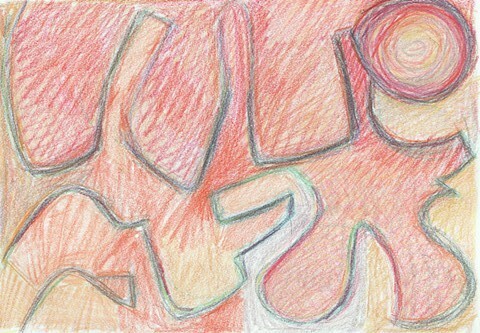 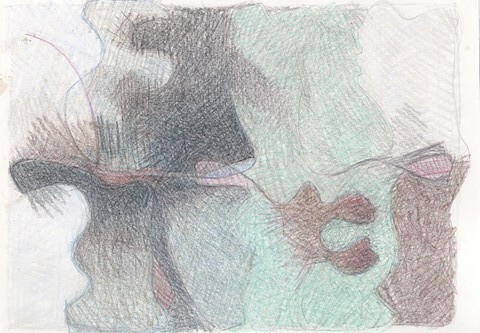 By setting myself specific guidelines before starting the series I was able to create a consistent body of work; each drawing was completed in two hours, the paper plane was divided into 3 equal sections, each was divided again and again and again, color schemes varied but each included a nine-tone value scale. 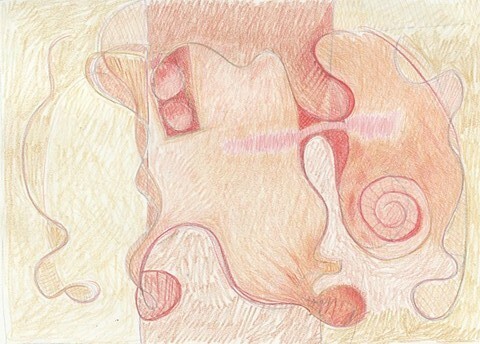 I laid out the colored pencils in a row from lightest color to darkest. 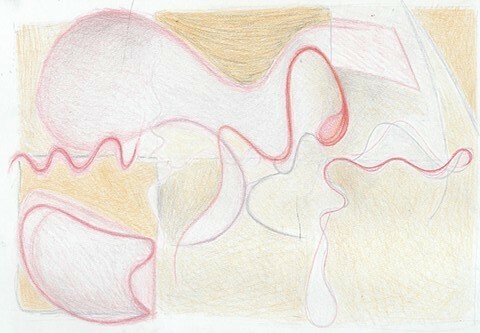 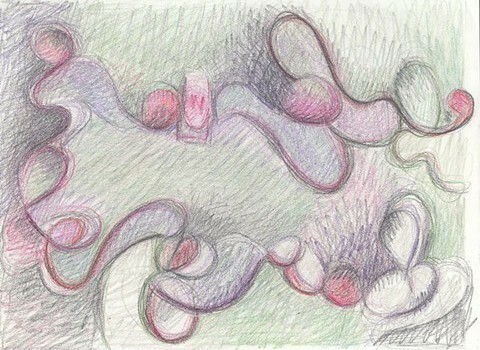 Each drawing evolved differently but relied on the use of three for everything. 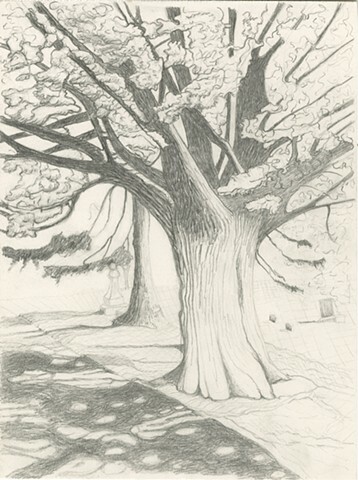 I also explore realistic drawing; inspired by family photographs.